Meet Deneale, our Company Secretary. Deneale has worked within our company for 13 years and became our Company Secretary four years ago. After graduating from Huddersfield University with an honours degree in History, Deneale has held a variety of roles in sectors including media, education and business. Having joined us to work on a short project initially, Deneale found the variety and challenges of working within a manufacturing business suited her skills and here she is all these years later! Deneale is involved in many aspects of the business. 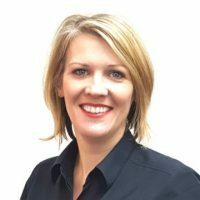 Alongside her finance duties she is also involved with payroll and HR, health and safety, marketing and sales, IT and training and any other tasks that seem to come her way! Time away from work is spent in the company of her two young daughters. In her free time Deneale enjoys baking, crocheting and reading.